Silver Cross Pop Duo - the newest double pram on the block! 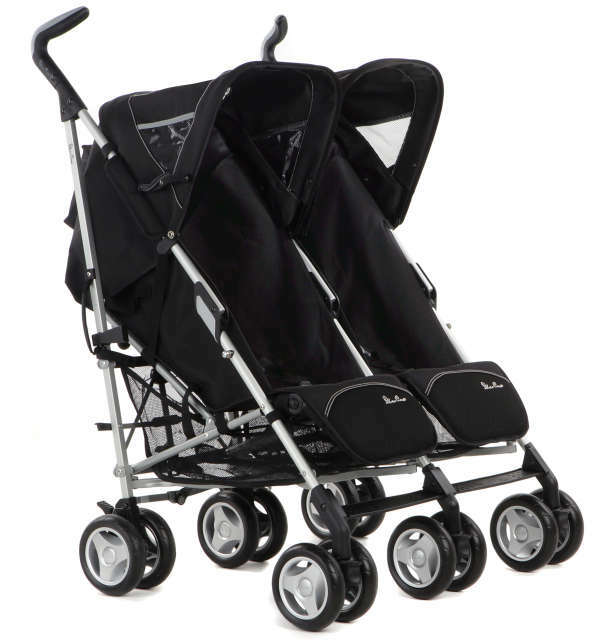 Silver Cross Pop Duo – the newest double pram on the block! As most parents of twins, or two children close in age can attest, the double pram market sure has been lacking in variety and scope. Every time there is a new release, we tend to get totally excited here at Babyology, because the face of dual baby transport is gradually but surely changing. In January, Silver Cross is releasing its Pop Duo to the Australian and New Zealand markets – a zappy double stroller, perfect for two kids up to 15kgs each. The Pop Duo sticks with tried and true features like the wonderful umbrella fold and independent seat back and hoods for the individual comfort of each child. Headrests, lockable swivel wheels, easy-access shopping baskets and that all-important cup holder for you are just a few of the other features of the Pop Duo. Weighing 12.2 kgs, which is light for a double stroller, the Pop Duo will retail for $549. It’s been out for a couple of years in the UK, so you know it’s coming Down Under with the refined design you would expect of a Silver Cross release. See below for a quick run down of its features in action!